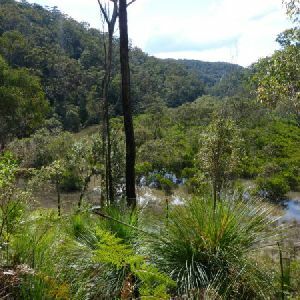 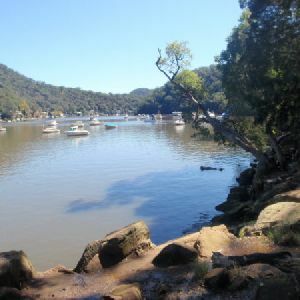 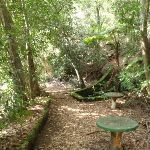 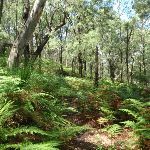 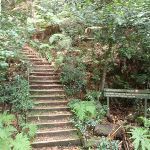 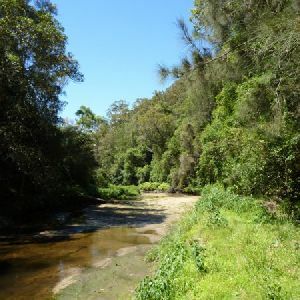 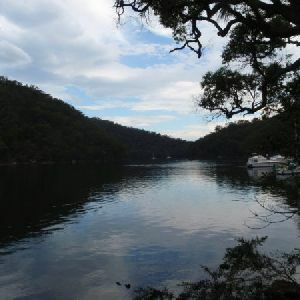 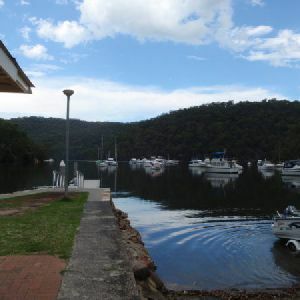 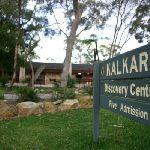 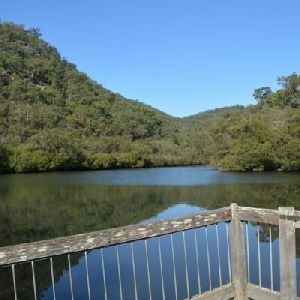 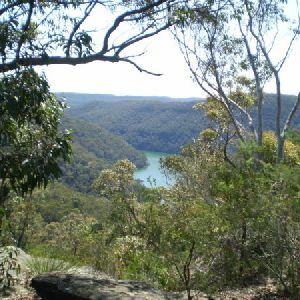 From the front of the ‘Kalkari’ centre, this walk heads gently downhill through the car park, keeping the Ku-ring-gai Chase Road to your left, to walk past the ‘Kalkari Bush Discovery Track’ map to the ‘Birrawanna Track’ sign at the far end of the car park. 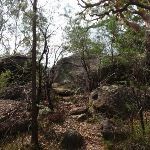 This walk now follows the ‘Birrawanna Track’ sign to the SW corner of the Kalkari enclosure fence and follows the fence for just shy of 400m to step down off a rock platform and continue along the fence for another 150m to the NW corner of the enclosure fence. 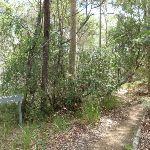 Here the walk leaves the fence and follows the track as it gently undulates through the wooded forest following the occasional timber step for just over 350m to come to a clear four-way intersection where a sign points back to the ‘Kalkari Visitor Centre’. 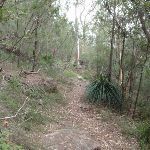 Continue straight: From the intersection this walk follows the ‘Bobbin Head’ arrow post east along the track as it almost immediately passes under a set of power lines. 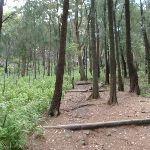 The track starts to wind downhill, down a number of timber steps for about 250m where the sandy track flattens out again to come to a three-way intersection marked with a ‘Kalkari’ sign point back up the hill. 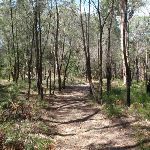 Continue straight: From the intersection, this walk follows the ‘Bobbin Head’ sign east and gently down through the tall wooded forest. 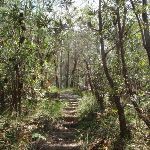 After about 400m this track passes between two piles of disused sandstone blocks then about 30m later leads past an intersection with an informal track in a casuarina forest (on your right). 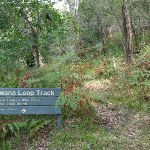 The main track continues straight, gently downhill for 80m where this walk almost completely flattens out for about 100m. 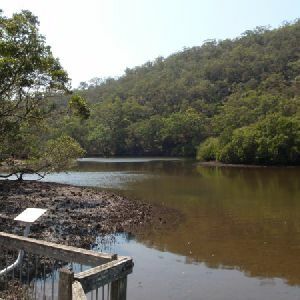 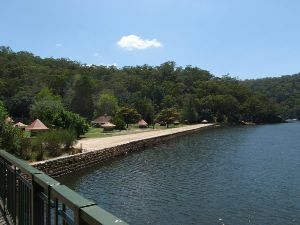 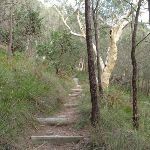 The track then begins to wind down a series of timber and stone steps for about 300m to find a flat sandstone rock platform beside a large angophora with filtered views over Cowan Creek. 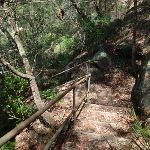 From here the rocky track bends right and heads downhill for another 30m to pass through a tunnel formed under a sandstone overhang, then about 30m further downhill this walk follows a metal handrail down some steps. Here the track then zig-zags downhill for about 60m before heading down some sandstone stairs, where the track comes to the edge of the Bobbin Head clearing, marked with a ‘Welcome to the Birrawanna Track’ sign. 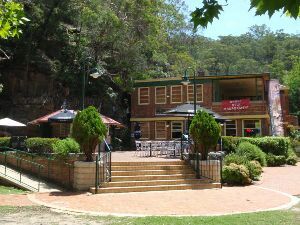 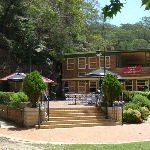 This walk now veers left and follows the brick paved footpath, to come to the now visible ‘Bobbin Inn’ cafe, just before Ku-ring-gai Chase Rd. 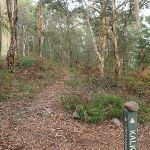 Turn left: From the intersection, this walk follows the ‘Kalkari’ arrow along the track which climbs up the ridge. 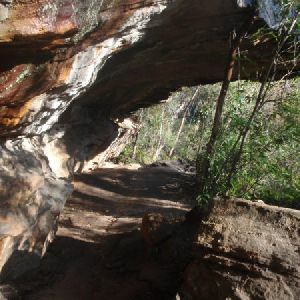 The track winds steeply up the long, rocky hill until it climbs up through a cleft in a rock, then flattens out. 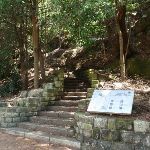 A short distance later, the track again starts to climb up the ridge, winding up a long set of wooden steps. 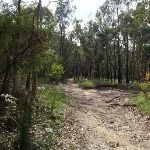 The track then flattens again and comes to an intersection and a sign pointing back towards ‘Regional Office’. 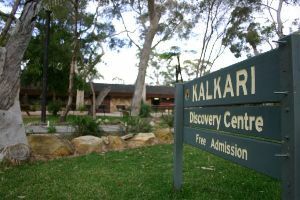 Turn right: From the intersection, this walk follows the ‘Kalkari’ sign gently uphill along the sandy track. 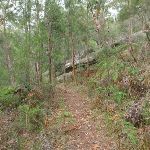 This track winds uphill, up a number of timber steps for just shy of 250m where the track flattens out and leads under a set of power lines. 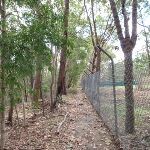 Just shy of 20m past these power lines this walk comes to a four-way intersection (where a ‘Bobbin Head’ arrow post points back along the track). 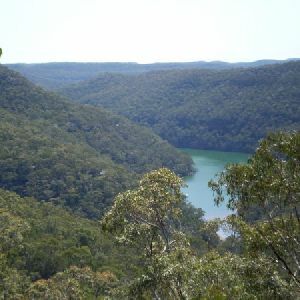 3.1km of this walk has gentle hills with occasional steps and another 1.1km has short steep hills. 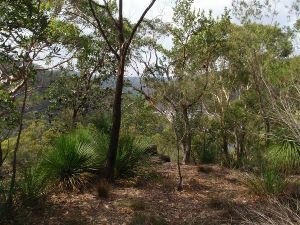 Whilst another 820m is very steep and the remaining 160m is flat with no steps. 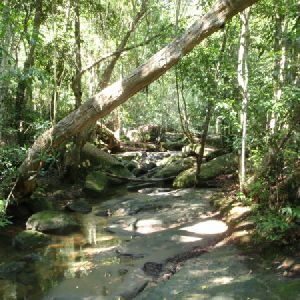 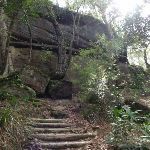 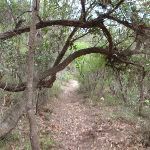 Around 5km of this walk follows a formed track, with some branches and other obstacles, whilst the remaining 160m follows a clear and well formed track or trail. 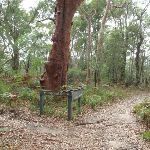 Around 4.1km of this walk is clearly signposted, whilst the remaining 1.1km has directional signs at most intersection. 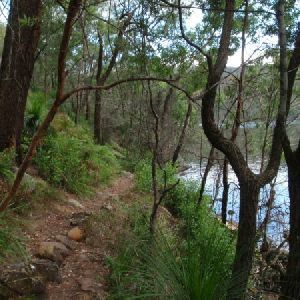 Around 2.7km of this walk requires some bushwalking experience, whilst the remaining 2.5km requires no previous bushwalking experience. 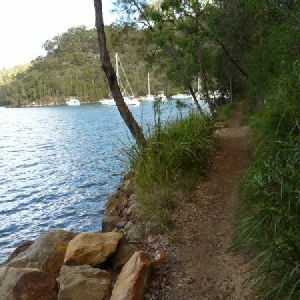 Around 4.2km of this walk is close to useful facilities (such as fenced cliffs and seats), whilst the remaining 940m has limited facilities (such as not all cliffs fenced). 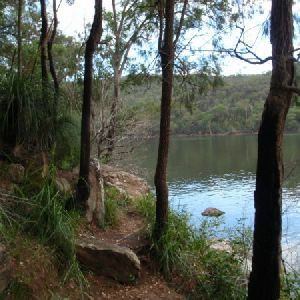 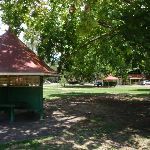 A list of walks that share part of the track with the Kalkari and Birrawanna Loop Tracks walk. 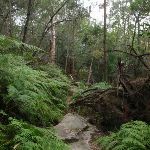 A list of walks that start near the Kalkari and Birrawanna Loop Tracks walk. 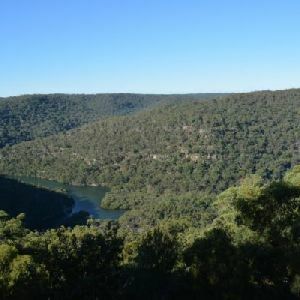 http://new.wildwalks.com/wildwalks_custom/includes/walk_fire_danger.php?walkid=nsw-krgcnp-kablt Each park may have its own fire ban, this rating is only valid for today and is based on information from the RFS Please check the RFS Website for more information.